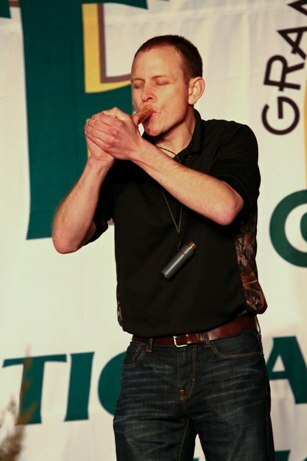 NASHVILLE, Tenn. — After displaying nerves of steel and amazing skill, Jeremy Palmer, from Harrisburg, Ill., finished in second in the Owl Hooting Division at the Grand National Turkey Calling Championships Feb. 17. Jeremy Palmer, from Harrisburg, Ill., finished in second in the Owl Hooting Division at the Grand National Turkey Calling Championships Feb. 17. "When we call the name of a new grand national champion, the atmosphere in the room in electric," said George C. Thornton, NWTF CEO. "It takes a special talent and years of practice to master the sounds of a owl. To become a champion on our stage is the most prestigious honor a turkey caller can achieve." In the Owl Hooting Division callers imitate the hoots, screams and laughs of a barred owl. Overall, the winners from each division competed for their share of more than $25,000 in cash and prizes.